Spam emails are notorious for clogging up inboxes and overloading email servers. Spammers are always trying new tricks to try and get into your inbox so making sure you have a good spam filter in place is crucial. Spam filters should be regularly checked and updated for maximum protection. Ideally, you should have a routine of checking all your emails for viruses. This is applicable to both spam emails and for seemingly legitimate emails from colleagues or clients. Viruses can steal data or delete it beyond recovery, so making sure emails and attachments are scanned can lower the risk of a virus getting through and compromising your security. 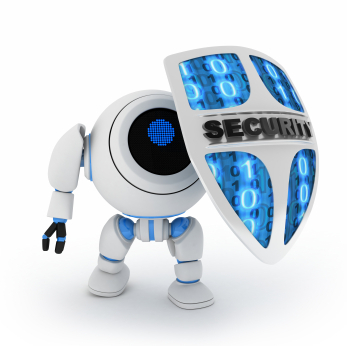 A secure email archiving solution greatly reduces your email security risk. A solution that routinely backs-up and archives all your email information and stores it in an encrypted form lowers the risk of data being stolen or lost. An email archive can also reduce the pressure on your email server, preventing it from slowing down or overloading. It is the most secure way to store your email and reduce any security risks. Email security risks come in many forms. It could be an outside attack like a virus, or come from within the company with overworked hardware. These risks are easily managed if the right steps are taken. So the next time you look at your email security, ask yourself are you doing enough to protect yourself?